Launches an email for the selected consultant. If multiple consultants are selected it will initiate a group email. 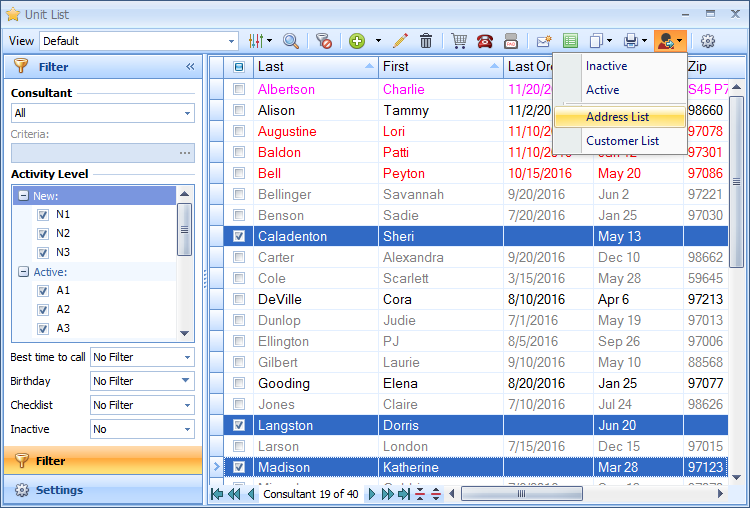 Add the selected consultant(s) to a new or existing List Builder list. 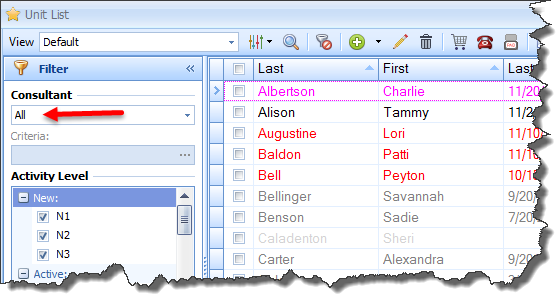 Print, preview or preview mailing labels for the selected consultant(s) in the current view. 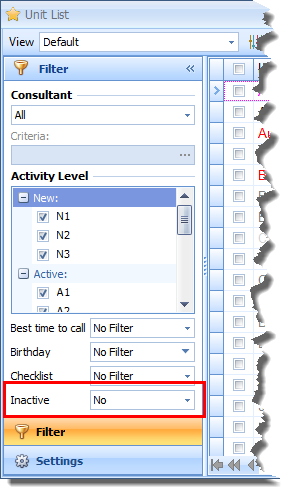 Set if and/or when notifications appear for birthdays, anniversaries, upcoming auto deliveries, as well as the default language preference. 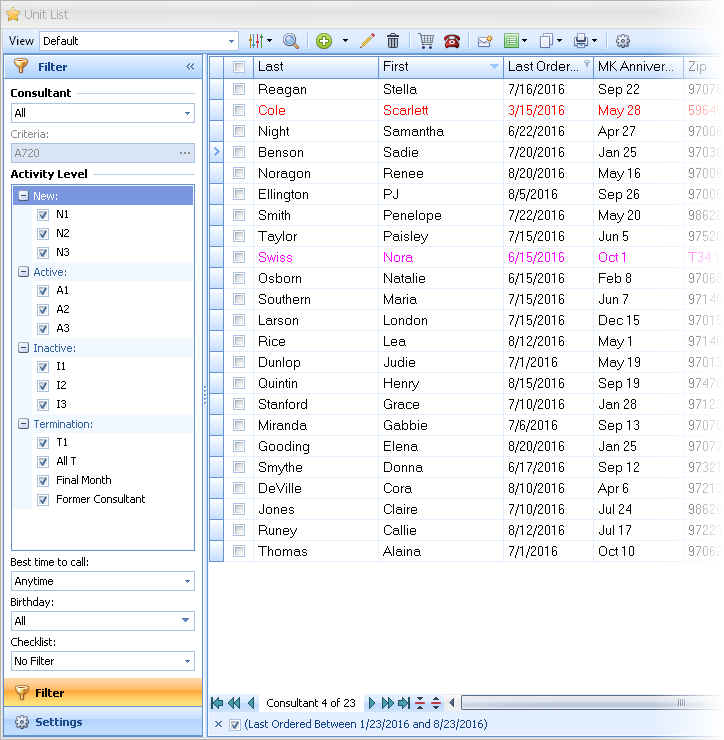 Customize the list to view the information important to you.